with his friends, the Aquabats! 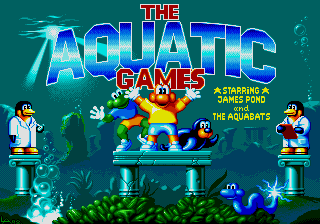 would be decent even without the aquatic theme. 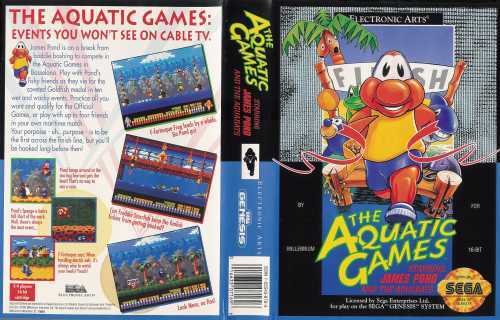 A unique spin on Olympics-based games, but I just don't find myself having much fun with this. It seems rushed at points, and the games really don't hold much weight as standalone games... that isn't a good sign for a game of this kind. Heh, it's fun to pretend that the starfish are Patrick Star from SpongeBob Squarepants. 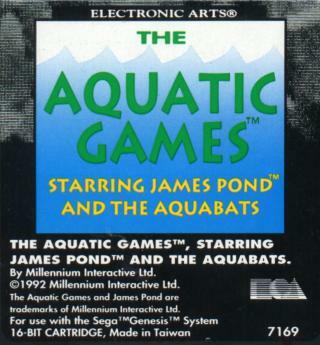 I remeber that not long before this game came out Olympic Gold by US Gold came out, which was nowhere near as much fun! 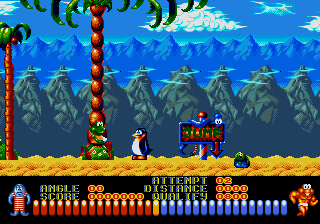 I always kinda liked this game (except for a couple of events, like the hurdles!) which is odd because I normally hate sport sims!